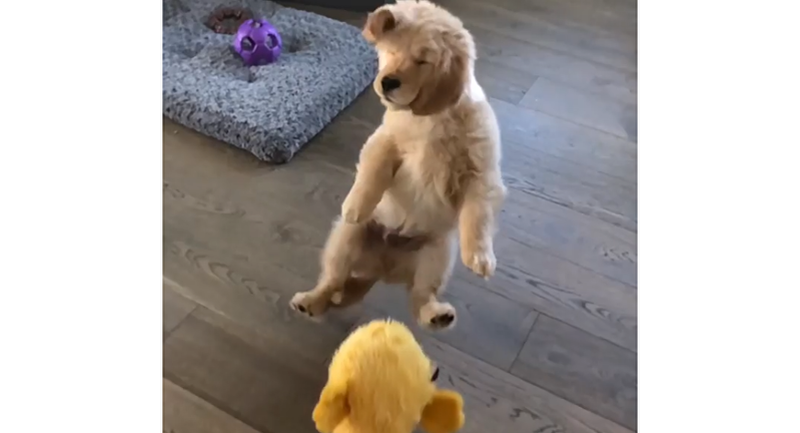 A cute golden retriever was tasked with catching a toy duck — at first, everything hinted at the prospect of its success. What can be easier than this for a dog? But the doggo failed to live up to the expectations of the audience and disgracefully fell on the floor. The moment of disaster is hilarious as the unskilled little catcher is filmed in slow-motion — this makes the fail look epic. Hopefully, the little pooch understands one day that skill comes with lots of practice, inner talent and determination. If not, it may grow into a cute but totally useless creature.